Angina is a type of chest discomfort due to poor blood flow through the blood vessels of the heart muscle. This article discusses how to care for yourself when you leave the hospital. You were having angina. Angina is chest pain, chest pressure, often associated with shortness of breath. You had this problem when your heart was not getting enough blood and oxygen. You may not have had a heart attack. Some people may feel discomfort in their back, shoulders, and stomach area. Ask your health care provider how to treat your chest pain when it happens. Ask your provider about returning to work. You may need to work less, at least for a while. If heavy lifting or hard manual labor is part of your job, you may need to change the kind of work you do. Your provider may refer you to a cardiac rehabilitation program. This will help you learn how to slowly increase your exercise. You will also learn how to take care of your heart disease. Try to limit how much alcohol you drink. Ask your provider when it is OK to drink, and how much is safe. DO NOT smoke cigarettes. If you do smoke, ask your provider for help quitting. DO NOT let anyone smoke in your home. Learn more about what you should eat for a healthier heart and blood vessels. 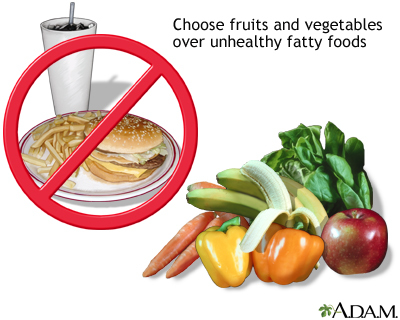 Avoid salty and fatty foods. Stay away from fast-food restaurants. Your provider can refer you to a dietitian, who can help you plan a healthy diet. Try to avoid stressful situations. If you feel stressed or sad, tell your provider. They can refer you to a counselor. Ask your provider about sexual activity. Men should not take medicines or any herbal supplements for erection problems without checking with their provider first. These drugs are not safe when used with nitroglycerin. Have all of your prescriptions filled before you go home. You should take your drugs the way you have been told. Ask your provider if you can still take other prescription drugs, herbs, or supplements you have been taking. Take your drugs with water or juice. DO NOT drink grapefruit juice (or eat grapefruit), since these foods may change how your body absorbs certain medicines. Ask your provider or pharmacist about this. O'Gara PT, Kushner FG, Ascheim DD, et al. 2013 ACCF/AHA guideline for the management of ST-elevation myocardial infarction: executive summary: a report of the American College of Cardiology Foundation/American Heart Association Task Force on practice guidelines. Circulation. 2013;127(4):e362-e425. PMID: 23247303 www.ncbi.nlm.nih.gov/pubmed/23247303.